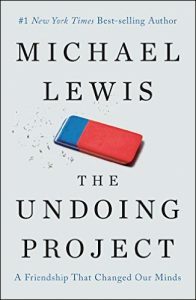 The Knowledge@Wharton interview with Michael Lewis, the author of The Undoing Project, was interesting for several reasons. First, it covered cognitive biases, one of my favorite topics. 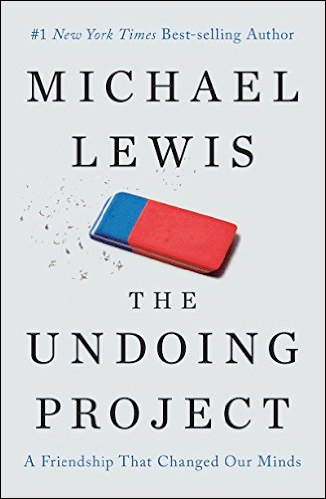 Second, the book is about Amos Tversky and Daniel Kahneman, two of my favorite thinkers. Third, there were some insights that came from this interview relevant to lean management. Taiichi Ohno wrote in Workplace Management about what he called misconceptions. He said that half of what we believe is wrong. We just don’t know which half, so we must to be ready and willing to admit that we are wrong and to change our minds. This is especially important if we are in a position to lead others. Ohno did not have the formal training in mathematics or psychology as did Kanheman and Tversky, but it seems to me through his observation of people Ohno broadly recognized many of the same behaviors. Just knowing that we fall for the biases doesn’t make it easier to avoid them. Lean is also much concerned with changing our environments in order to change behaviors and ultimately, to improve outcomes. Specifically, this is why lean management relies heavily on visualization both in the physical workplace as well as in monitoring progress toward less tangible outcomes such as strategies, system performance and adherence to standards. Good visual systems make it easier for people to point out when we are making errors. In lean practice this notion is supported by hoshin kanri, which questions assumptions, whittles down strategic initiatives from the hopeful many to the realistic and vital few, engages people in developing action plans through catch ball, reviews progress through fact-based go see exercises, and applies the PDCA cycle to learn from mistakes rather than blaming, sweeping them under the rug or otherwise being self-deceptive. In battling cognitive biases, as in lean management, we trust our people and our instincts, but “You build checks into the process” at every level, to borrow a quote from the article. We’ve known for a couple of decades about lean management. We still have biases, habits, illusions that keep us from adopting better ways of working, managing, leading, living. It’s a bit of conundrum. As methods to counter our biases become better known, perhaps we will get better at recognizing the illusions that are part of how our brains work. 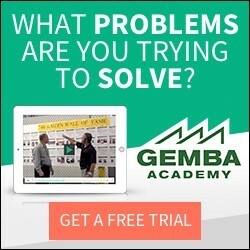 Actually, we’ve known about progressive management for more than 100 years, of which Lean is merely the current method. Progressive management has long been a victim of the post-fact world that typically exists in autocratic (hierarchical) organizations. The ongoing digital transformation seems likely to replace this conundrum with another. I am a Traumatic Brain Injury survivor, coming from a former executive position, being Vice President and General Manager of Operations for 5 contact centers, both domestic and international, I am now disable and unable to continue the position I held, noted previously. My brain injury has impacted my cognitive abilities, I am wondering if this book would/could be beneficial for my particular disabled, or am I missing a key purpose of the context of this book? This book is more about the two scientists who developed the concept of cognitive bias, Tversky and Kahneman. I do not think it will be particularly helpful for your situation. I would be curious if there are stille some cognitive biases that are not covered by Lean methods yet, for which we can define new ways of working. Any ideas? There are no doubt many cognitive biases that are not yet covered by Lean methods. I know of 60+ cognitive biases affecting our beliefs, memory, decision-making, behaviors and social interactions. I have not thought about each one. Lean in general tries to be practical, fact-based and results-oriented, not relying on belief, memory or preference. If we talk about our assumptions, use visualization, hansei and other process checks for our own biases, I think we can overcome them.